One Monday, Robert Halliday receives a bomb threat in the mail. Two days later, the bomb arrives—accompanied by an offer of employment from one Karliss Zander, an international fixer. Unless Halliday agrees to help him edit the memoirs of a 19th century Russian terrorist and ghostwrite an exposé of modern terrorist governments, Zander will detonate the bomb. For the sake of self-preservation, Halliday joins the project—but quickly discovers that Zander requires more than mere literary assistance: He and his daughter are in mortal peril from a Middle Eastern terrorist group. Now tangled in this massive international web of danger, Halliday wonders if it wouldn’t have been far less painful if that bomb had just gone off. 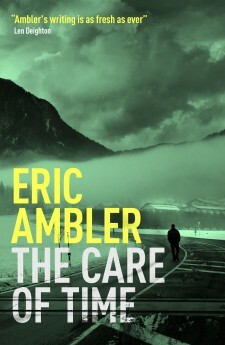 The Care of Time, Eric Ambler’s final novel, is a carefully constructed, utterly absorbing story of intrigue and suspense, one of the most acclaimed works of his more than sixty year career. 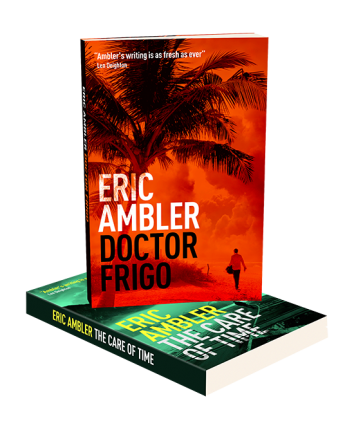 To get your free Eric Ambler starter library just tell us where to send it.